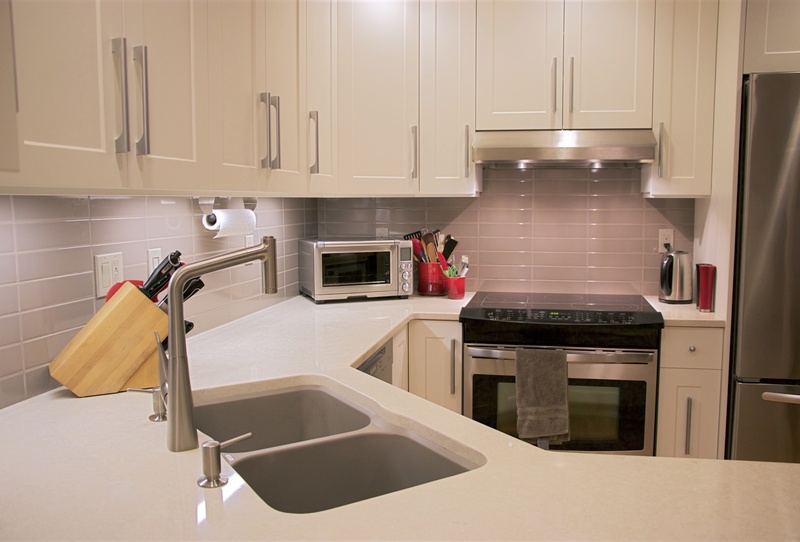 “Additional storage, more available counter space, and increased room to move around were our priorities for a new kitchen in our townhouse. T. Russell recommended bumping out the peninsula 13½ ” and installing a corner sink to achieve all three. 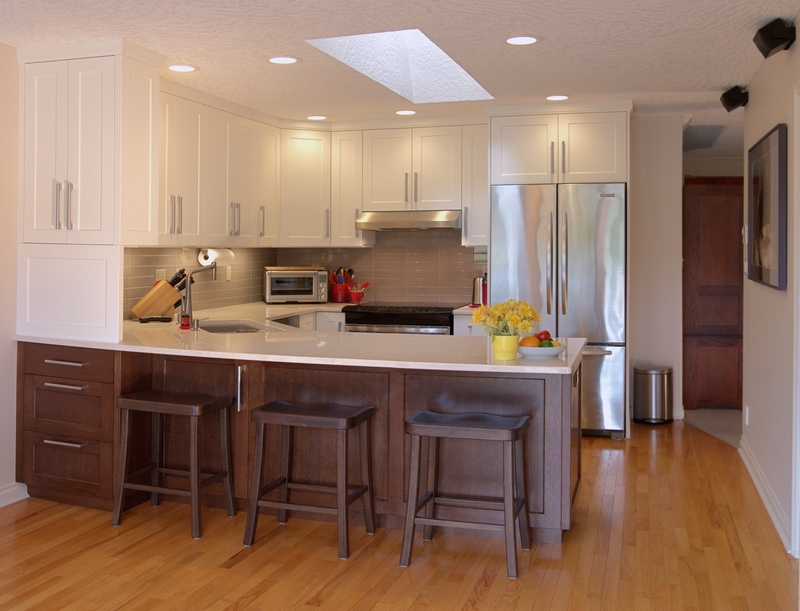 To differentiate between the kitchen and dining spaces, they matched our dark oak furniture for the lower cabinets on the dining side and kept the kitchen side all white. They worked closely with us during the design stage, and their workers were conscientious and accommodating during the installation. 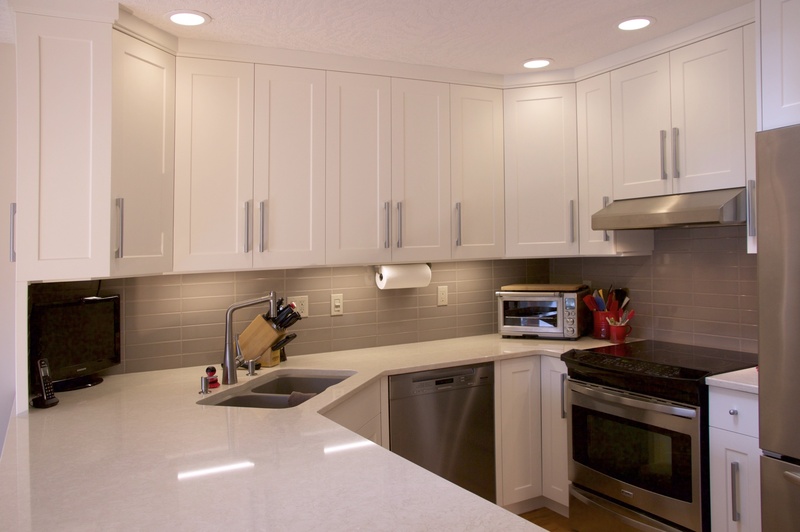 After having spent a full year in our T. Russell kitchen, we remain delighted with the design, construction, function and durability of our cabinets. We love our kitchen!